Baron Wolman was Rolling Stone magazine’s first photographer and enjoyed unparalleled access to musicians making rock and roll history — Hendrix, Jagger, Joplin, Zappa, Morrison, and countless others. 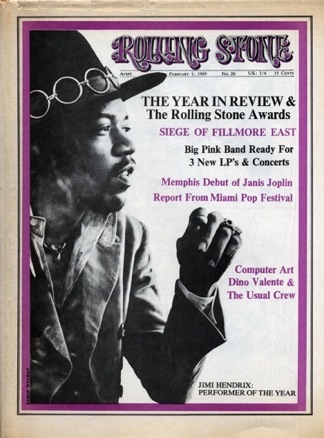 In the late 1960s and early 1970s Wolman photographed 21 covers for Rolling Stone. His new book is a beautifully printed collection of those 21 actual cover images and the proof sheets from which each cover photograph was taken. The book is available in a limited-edition version and its price of $350 includes a signed, silver gelatin, 8 x 10 print of any of these 21 Rolling Stone cover images. Join us at the Beverly Hills Bang & Olufsen store for the world premier book-signing event. Meet Baron, listen to great music on the incomparable B&O sound systems, and enjoy an open bar with Jack Daniels, white wine and Fiji water. Where: Bang & Olufsen, 369 N Rodeo Drive, Beverly Hills 90210. Easy self-parking is on Brighton just West of Rodeo.